Europe's northernmost and westernmost capital is a delightful destination, part old Norse, part modern city, with a quirky personality of its own. The puffin, troll and elf souvenirs found in gift stores are apt mascots for a city with a decidedly playful streak. 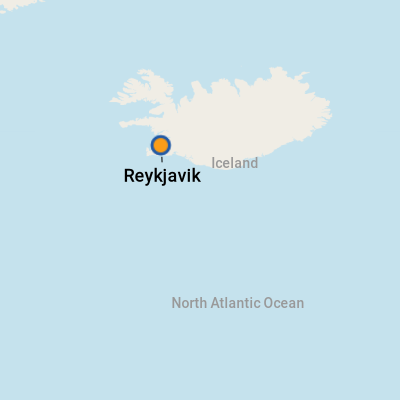 More than half of Iceland's population lives in Reykjavik (or nearby), in one of the world's smallest capital cities -- some 190,000 people. Cruise ships are increasingly paying calls on Reykjavik from late May to early October, especially during the summer months, when the daylight literally lasts 'round the clock. Visitors and residents alike seem to stay awake, golfing, strolling the compact town's picturesque streets, drinking Gull beer at sidewalk cafes and cycling along the seafront promenade. Many believe that Reykjavik's character is more defined in winter, when daunting weather and 20-hour nights are defied by rollicking pubs and a sense of humor. But, locals laugh at the climate, whether calm or tempestuous. They keep warm in the iconic handsome sweaters for which Iceland is well known; the long hours indoors and out inspire artisans, evidenced by many shops that display lovely local art and clothing. This is a city that has learned to make the best of things. The Iceland landscape is bare and covered with volcanic rock. With no trees for building houses, 18th-century settlers used driftwood that floated in from the sea, covering the wood in sheets of corrugated tin and painting walls and roofs in vivid colors to brighten the scene. The rock that abounds was turned into material for a fine stone Parliament building, erected in 1881. Citizens have planted and nurtured welcome oases of green. The geothermal springs that bubble underground have been put to work to provide hot water for residents. Reykjavik has experienced much advancement in the past few years. Progress is plain to see in the sleek, contemporary buildings that are changing the cityscape. Several worthwhile museums salute local history and art, and whimsical street murals dot the city center. With fishing still a dominant occupation, restaurants serve up delectable seafood, and gourmet dining of all kinds is plentiful and popular. But, if you ask natives for their favorite eating place, the answer most often will be a simple hot dog stand near the harbor. Reykjavik is a safe city, compact and easy to navigate on foot. As charming as it is, no visit to Iceland is complete without getting out into the vast interior, which lies at the city's doorstep. Seriously, how can you not love a place where sheep have the right of way? Cruise lines often assign ships to overnight in Reykjavik, offering passengers more than the typical eight-hour port experience, but my greatest regret is that visitors don't have even more time to explore this charming land, where the balance of urban sophistication and nature at its most rugged is unique. If you regard cruise travel as a chance to sample places you might want to return to later for longer stays, I can't think of a better recommendation than Reykjavik. Smaller vessels dock in the heart of town in the Old Harbour, but most ships use the Skarfabakki cruise terminal, which is roughly 2 miles from the town center. Passengers on those ships small enough to dock in the Old Harbour can walk to most sights. If walking is a challenge, and you don't want to take a tour, double-decker "hop-on, hop-off" buses are also available. The cruise terminal outside the city center offers little to see or do, but cruise lines typically offer a free shuttle service to and from town (a 10-minute ride). Also, the new Cruise Liner Visitor Centre, which is small but very useful, offers currency exchange, VAT tax-free refunds, computers and internet access for a fee, local and long-distance phone service, car rentals, a tour-booking service and a nice array of duty-free souvenir gifts. Tours to Iceland's stunning interior generally include stops at waterfalls and geysers, which are well worth leaving Reykjavik to explore. However, to get close-up, you will need a raincoat or poncho. On Foot: Most of Reykjavik's major attractions are within a 15-minute walk of the town center. By Taxi: Cabs are readily available at the dock and in town at the square in front of the main tourist office. Most cabs also accept credit cards. By Hop-On, Hop-Off Bus: The red double-decker buses originate at the Harpa concert hall. There's a narrated one-hour tour with 15 stops where passengers can hop on or off at their leisure. Tickets are good for 24 hours. (Stop No. 14 is the Cruise Liner Visitor Centre so it's an easy and efficient way to see the major sights). By Bus: Public buses require exact fare; drivers don't offer change. A one-day pass can be purchased at 10-11 convenience stores. Iceland's currency is the krona (plural kronur). ATMs offer the best rates and are available at bank locations around town. 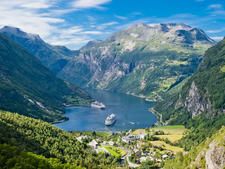 The Cruise Liner Visitor Centre and the central tourist office also offer currency exchange. Credit cards are widely accepted at shops and restaurants. Some shops, like the fantastic gift shops at the Harpa concert hall, will accept euros, dollars and pounds. 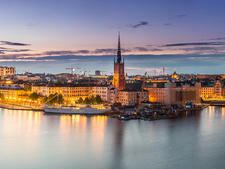 For current krona conversion rates, check www.oanda.com or www.xe.com. Icelandic is not an easy language to master; the tricky spelling and pronunciation is said to have changed little since the original Norse settlers spoke it. Luckily for visitors, many signs are in English, and almost everyone speaks English. Reykjavik is known as a foodie destination -- and rightly so. From gourmet food to simple meals, the city has something for every taste and budget. Seafood and smoked lamb are the stars of Icelandic menus. Fish is off-the-boat fresh. Cod is the most popular choice, though haddock, Arctic char, halibut, salmon and monkfish are also common. Locally raised lamb has been allowed to range freely and feed on grasses, herbs and bushes that have never known chemicals, giving the meat a distinctive flavor, which slightly resembles that of wild game. Don't be surprised to see whale, puffin and even horse on the menu. Other Icelandic traditions include skyr, which tastes like sweetened yogurt, and a delicious rye bread called rugbraud or hverabraud. Note: Even though your bill may include a space for tipping, it is not customary in Iceland to do so as service is already included. Hot dogs: Icelanders are crazy about hot dogs, and the place to find out why is a simple stand near the harbor called Baejarins Beztu Pylsur (literally means "best hot dog in town," and we have to say: it's mighty fine), a standby since 1939. Look for it on Tryggvagata, just east of Posthusstraeti. 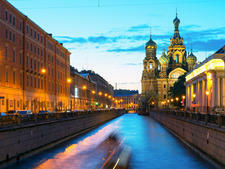 (Head toward the Radisson Blu 1919 Hotel in the old town, and look for a line of people.) To sample a hot dog the way the natives like it, order it with everything -- sweet mustard, fried onion and a remoulade sauce. Hand-knitted Icelandic wool sweaters are lovely to look at and are guaranteed to keep you warm. One of the best sources is the Handknitting Association of Iceland, with a location on both main shopping streets -- Laugavegur and Skolavordustigur. A third, smaller shop is located inside the Radisson Blu Hotel Saga. Also watch for the whimsical knitted hats that are a local trademark.